With Brexit just around the corner, Jared talks about the implications it has already created in the UK's auto sector and what will happen in the future. With the deadline fast approaching governments need to make a decision fast. Brexit could very well be the title for a British sitcom. The more you try and follow it, the more you begin to see how politicians have no clue on how to negotiate, and their bickering, indecisiveness and divided opinions are mind blowing. It seems that democracy is no longer working in the modern world. The US has a clown for a president, the Brazilians have a demon possessed leader and, well, Great Britain has a House of Commons who do absolutely nothing for the commoners who elected them. While the EU and the UK still try and negotiate a deal for Brexit, it seems that they are still nowhere close to reaching an agreement. Auto companies are bearing a huge brunt to their business of this sad comedy of politics. Jaguar Land Rover just issued a statement confirming that they will temporarily cease production from 8th to 12th April due to potential Brexit disruptions. Keep in mind JLR have already made production cutbacks at its factories in Castle Bromwich and Solihull. They are not the only auto maker to make this announcement though, as Japanese car makers Honda and Toyota have already announced a similar arrangement. JLR’s stoppage will affect its three UK factories, however its operations in Brazil, China and India will be unaffected. But, stopping production momentarily is the least of automakers concerns, because there are more troubles that will affect them. Ford, for example, has stated that they are already incurring huge financial costs. The American manufacturer has said that a no-deal Brexit will cost them $1 billion (Rs 7,100 crore). It all will depend on the current negotiations being handled by Prime Minister May along with the British Parliament and the EU Parliament. 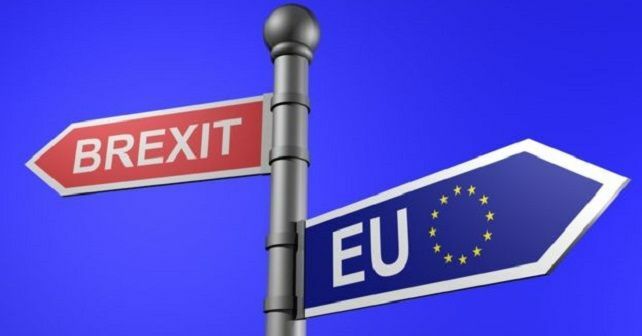 No matter what happens the UK will exit the EU in March, so if a deal is not made by then, there will be plenty of panic. Ford though, has said it’s taking measures to prepare for the worst. Ford is currently the best-selling car company in the UK, and they are hoping that a no-deal is the least likely outcome. One in three cars built at the company's European base in Cologne ends up in the UK, while the American brand also has a pair of engine manufacturing operations in Britain as well, so they have good reason to be worried. Ford also employs 13,000 people, and it looks as if many of them will be losing their jobs as Ford is looking to cut costs. Along with Ford, JLR has also been cutting jobs, so it looks like the very same people who voted for a Brexit will be feeling the negative effects. The biggest concern though for all industries as well as consumers is whether or not the UK will still be able to continue trade free of customs and tariffs. Everyone hopes that the UK will still be a part of the customs union and that is where most of the negotiations have been around. Because of this uncertainty, Nissan has decided not to manufacture their X-Trail SUV at its British factory. Car exports are a major business for the UK. Almost 80 percent of the 1.7 million cars that annually roll off production lines in the UK from manufacturers like Nissan, JLR, BMW, Honda, Toyota and many other Britain-based car makers are destined for export. Automobiles make up about one-eighth of all Britain's goods exports and just over half of them are sold in the EU. When it comes to the auto components for these cars, only 44 percent are sourced domestically. From the international market 80 percent of the components come from the EU. This means a no-deal Brexit and the prospect of tariffs and customs would severely disrupt business on a daily basis. Now, with many automakers slashing investment into the UK it looks like tougher times are just around the corner. It’s only a matter of time before the government makes a decision, and even if it doesn’t, the UK’s fate with the EU is already sealed, and it will be an uphill battle from March onwards.